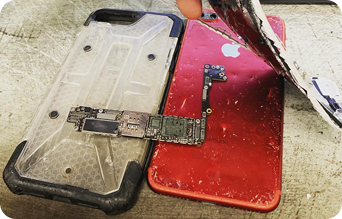 We’re a professional repair and warranty center that primarily focuses on mobile devices, but are always open to new and exciting projects if it makes sense to fix it – economically. With multiple certifications and plenty of experience in micro soldering and small component logic board repairs, our technicians can fix even some of the most complex issues that are causing devices to deadline. Should the repair prove to be ineffective, our background in data recovery can ensure that all your personal information may still be salvageable. 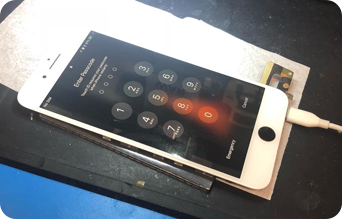 While we specialize in micro soldering and logic board level work, the clear majority of repairs that enter our shop are going to generally fall under the category of screen or peripheral part replacement. Outside of hardware, we also offer services that include but are not limited to network unlocking devices, assisting with bypassing device security, or just general operating system and software scrubbing. As tinkerers, we’re fascinated by just about anything that is sent our way. Some gadgets may not make fiscal sense to fix due to the cost of both the repair and shipping, but our diversely talented team is experienced and qualified to take on just about anything that plugs in or powers on. You wish it, we fix it! 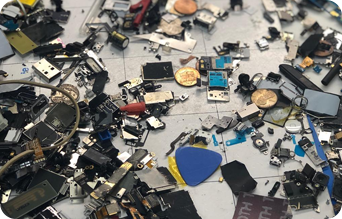 We are a professional gadget repair and warranty center that specializes in micro soldering and dead device data recovery, among a multitude of other repair services for your Android, iPhone, tablet, PC, or anything else with a power button! That means no fuss! Our talented technicians have seen just about every issue imaginable. We’ll figure out the solution or you don’t pay a dime. We offer a lifetime warranty on most repairs, and when you’re ready to trade-in for something new – we got you covered there, too! We’re obsessed with customer service and finding the right solution for every customer and every situation. It’s in our DNA and drives us every day.